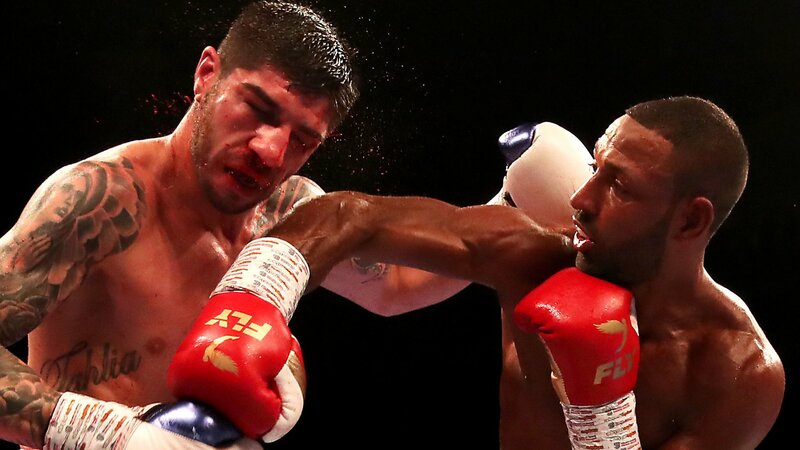 Britain’s Kell Brook ground out a unanimous points win over Michael Zerafa in their WBA super-welterweight final eliminator at Sheffield Arena. Brook, 32, started well and bloodied the nose of his Australian opponent – whose two previous losses were at middleweight – in the opening round. But, in his first fight since March, he did not continue that dominance and was briefly rattled by Zerafa in the ninth. The judges scored it 118-10, 119-109 and 117-111 to the Sheffield fighter. Brook was at a loss to explain his performance, saying: “Normally I’m sharp but I couldn’t let that right hand go. Earlier on the bill, Jono Carroll’s IBF final eliminator with Frenchman Guillaume Frenois was declared a split draw. The two super-featherweight southpaws were bidding for the right to become the mandatory challenger for Tevin Farmer. Irishman Carroll, 26, had won all 16 of his previous fights, while 35-year-old Frenois had lost only one of his previous 47. The judges called it 115-113 in favour of Frenois, 115-113 for Carroll and 114-114. Sheffield’s Kid Galahad maintained his 100% record with his 26th career victory in a featherweight contest with Brayan Mairena. The 28-year-old, who will fight the winner of the IBF title fight between Josh Warrington and Carl Frampton on 22 December, won all eight rounds against the Nicaraguan. Liverpool’s Anthony Fowler needed only 93 seconds to beat Argentina’s Jose Carlos Paz. Fowler, 27, sent Paz to his knees with a crunching left hook to the ribs to make it nine wins out of nine, eight of which have been by knockout. Unbeaten Sunderland fighter Josh Kelly’s welterweight clash with Russia’s David Avanesyan was postponed after Kelly was taken ill on the morning of the fight.